News junkies will be pleased to learn that international news service CNN is going live for mobile phones from tomorrow (1st March) with its newly re-launched Wap service. 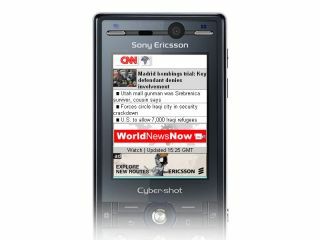 The service, which can be accessed using mobiles by tapping in www.cnnmobile.com on the phone's mobile internet browser, offers CNN world news, hourly updated CNN World News Now 2-minute video news summaries, blogs from CNN correspondents worldwide, and five-day weather reports for 1,000 cities across the globe. The service also offers free breaking news text alerts. CNN promises over 120 stories per day on the site, and a searchable archive from the last 14 days covering over 2,000 stories. Users will also be able to interact from their mobiles by sending pictures, video clips and stories via the site's iReport citizen journalism area.